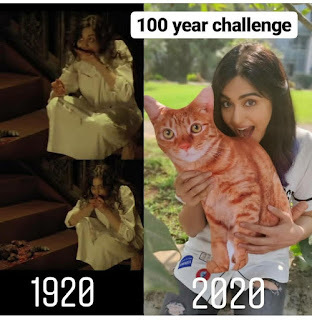 Commando 2 and 3 actress Adah Sharma takes the #10yearchallenge to a whole new level and it's freakishly hilarious ! 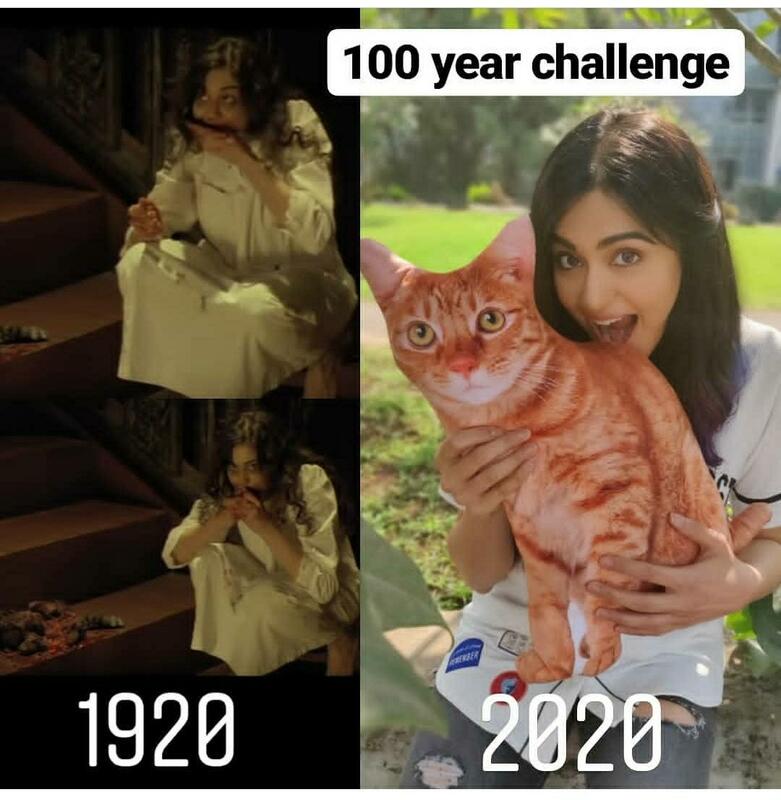 She posts a picture eating a stuffed cat and calls it her 100 year challenge ! Her fans are going gaga in the comments section saying she is the only person who could do something so crazy !